If you are like most Americans, as the year turned over, the ball dropped, and the clock cued the celebration, while the pop and crack of holiday pyrotechnics filled the night and the light of the fireworks flashed in the dark sky above, you set an intention for the year ahead. In the New Year, unleash the new you and satisfy those New Year’s resolutions. We are here to help you because we know this year is the perfect time to take a no holds barred approach to your life. Experience a metamorphosis with skydiving as the catalyst. 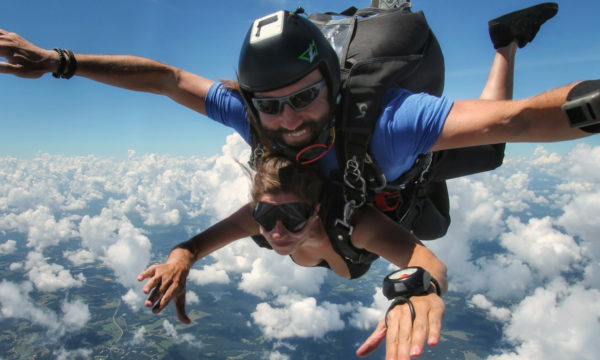 Here are three reasons why skydiving in the New Year will change your life! 1. Skydiving Gets You Out of Your Comfort Zone. Stasis is unassuming. It’s quiet, it’s reliable, and it’s consistent. Finding a great place of equilibrium is nice, but without change, there cannot be growth. We honestly can’t think of any better way to shake things up and change your life than to get you out of your comfort zone with a skydive. Sure, it’s comfortable enough keeping with the same ole, same ole. School, work, home and repeat. But what about doing something for you? Something to ignite a fire within and help you to see there’s so much more for you outside of your comfort zone. Once you’re outside of it, who knows what you’ll accomplish! Skydiving in the New Year is a great way to jumpstart your self-esteem and boost your confidence. The world does a pretty darn good job of getting us down. Skydiving can do for your level of self-confidence what a shot of nitrous does to a car’s engine. As you whoop and holler in freefall, you’ll find it easy to shed your shell and embrace the powerful you within. Once you land, it’s time to see yourself in a new light. If you can do this, you can do anything. Are you familiar with endorphins? Usually, you’ll feel their effect after a really good run or a great work out. One minute you’re sweating bullets and breathing heavy, and the next, there’s this tingly, euphoric sensation that floods your body and leaves you walking on cloud nine. 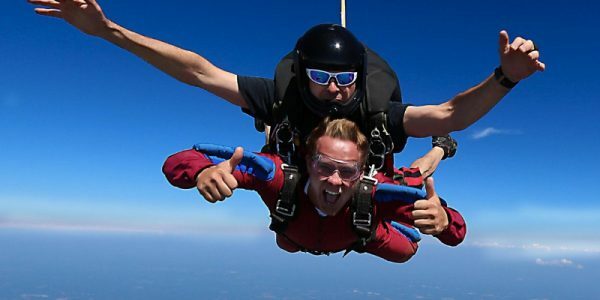 As it turns out, skydiving is a great way to get a hefty, feel good dose of them (and all without having to sprint up stairs of lift any weights). Your brain naturally produces this dynamite mood boosting cocktail, but skydiving ups the ante and sends production into overdrive. The result is a shift in your perspective. After a skydive, everything is seemingly more pleasant, and every goal, regardless of magnitude, feels like it’s well within your reach. The rush of endorphins after your skydive will leave you giddy on the ground and ready to tackle the year ahead as a new and improved you! Really, what better way is there to begin your New Year than to conquer your resolutions and rock out 2019 with a skydive!? 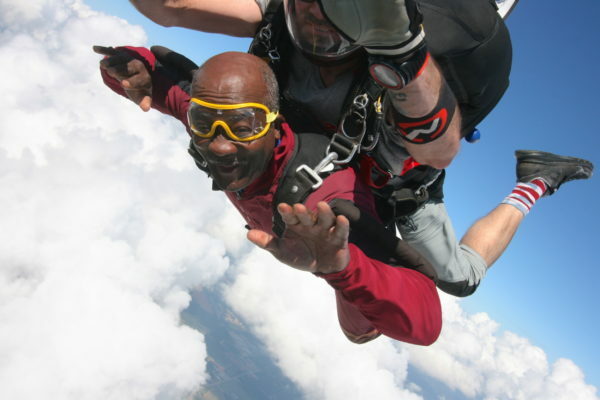 Contact Skydive Monroe today.